Erin For Us CampaignErin Schrode might become the youngest woman ever elected to Congress. Hillary Clinton could make history today if she wins California’s primary election. While she clinched the Democratic presidential nomination Monday, California would solidify her place beyond the shadow of a doubt. She would be the first woman in the 240-year history of the US to lead a major party’s presidential ticket. However, there’s another woman who could make history in California’s primary. 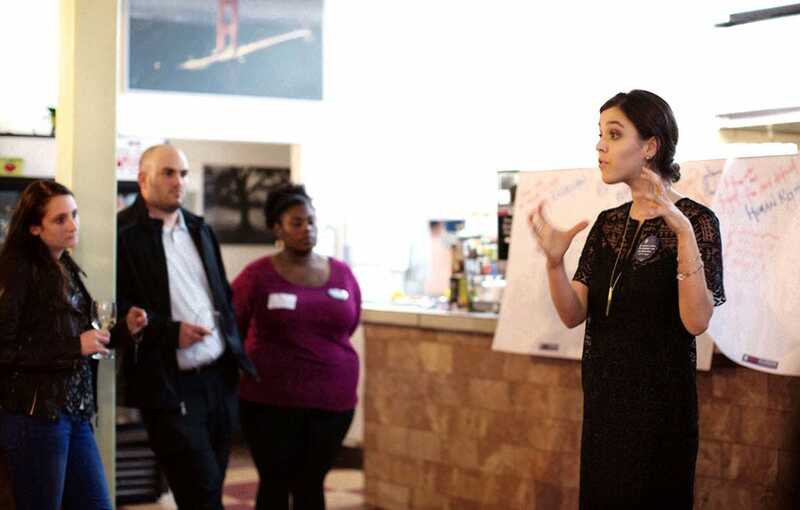 Erin Schrode, 25, could become the youngest woman ever elected to Congress. Schrode is running for California’s 2nd Congressional District’s House seat. She faces stiff competition, mainly from fellow Democrat and incumbent candidate Jared Huffman. In addition to Huffman, she faces two other challengers in Tuesday’s primary contest. The two candidates with the most votes will face off in an election in November. Her campaign is a modern one. Schrode embraces social media as a way to communicate with voters, and announced her bid for Congress using Facebook Live. As the founder of an environmental nonprofit, her platform heavily emphasises sustainability, in addition to civil rights, women’s rights, and access to health care. Schrode not only wants to bring more female representation to Congress, but also wants millennial voices to be heard in government.